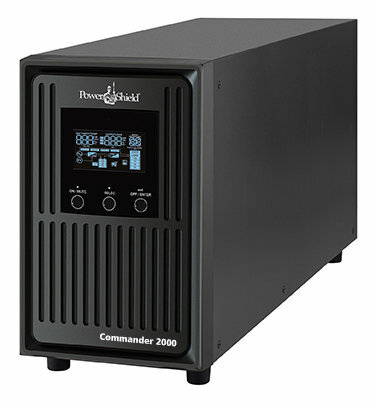 • The Commander Tower provides a sine wave output, even when the UPS is running off of its batteries. • The pure sine wave offers an economical solution to back up gates, cameras, computers, motors, telephone systems and other sensitive equipment. • With an output power factor of 0.9 the Commander Tower is a high-density UPS that will provide higher performance and efficiency to critical applications. • Features a combination of both Australian and IEC outlets. • With programmable power management outlets users can easily and independently control load segments. During power failure this feature enables users to extend battery time to mission-critical devices by shutting down noncritical devices in a timely manner. • With built in advanced ECO mode this UPS will achieve an efficiency of up to 98% during normal mains operation. Using this option will allow for reduced ongoing running costs. • With a built in voltage regulator, the Commander Tower will maintain regulated nominal output without using battery power during brownouts and overvoltages. • This feature can turn off and isolate the UPS in the event of fires or other emergencies.